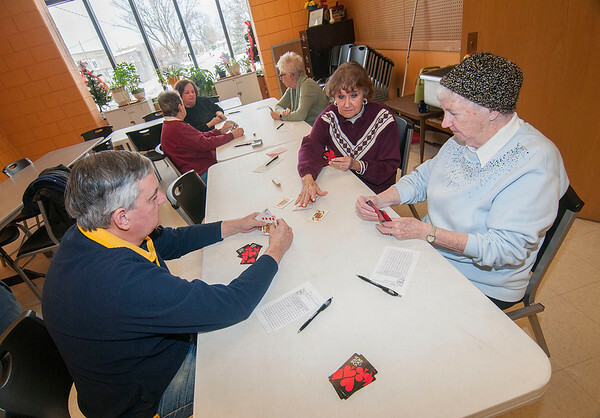 Niagara Falls, NY - Joe Kile of Lewiston, Polly Hartman of Niagara Falls and Phyllis Eisenman of the Town of Niagara play Three Handed Euchre at the John Duke Senior Center. The group gets together every Wednesday and Friday at 1 p.m. to play. All are welcome.